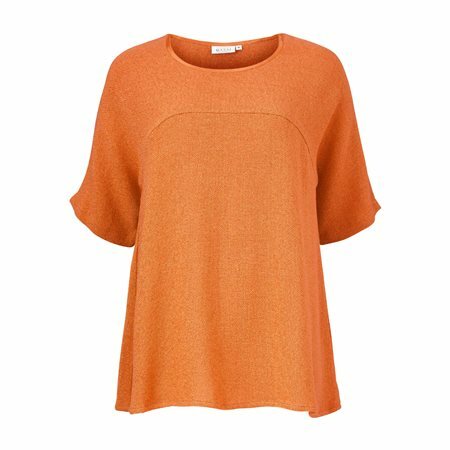 Classic boucle top with a distinctive structure. The top has a flattering A-shape, so it sits closely across your bust, yet still offers plenty of freedom to move. It also has short slits on the sleeves and decorative stitching under the bust. A timeless top that goes well with both trousers and skirts.